The Canadian Provincial Nominee Programs are a popular path for fast permanent residency in Canada. Here you will find all the updates and draws to the PNP Streams and Programs. 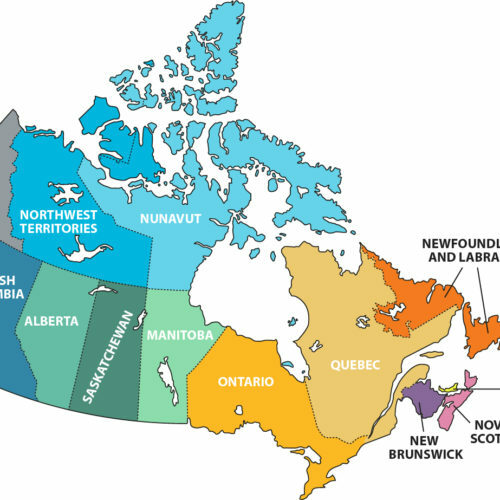 There are currently eleven territories that participate in the Provincial Nominee Program. Each PNP has at least one immigration stream that is aligned with the federal Express Entry immigration selection system. The Express Entry stream of a PNP is the stream aligned with federal express entry system. Under this stream, Canadian provinces are allowed to select the candidates from express entry pool and notify them to apply in their Provincial Nominee Program. All eleven territories have draws and updates that will be listed below. There are more than 80 PNP immigration streams so stay connected to this page to know the latest draws and updates of 2019 Provincial Nominee Programs. The Manitoba Provincial Nominee Program (MPNP) invited 401 candidates to apply to the MPNP under the Skilled Workers Overseas stream. Find out more about the MPNP March 28 Draw . The British Columbia Nominee Program (BCNP) invited 142 candidates to apply to the BCNP. This draw gave invitations across five different categories under the BCNP with varied minimum scores. Find out more about the BCPNP April 9 Draw. The OINP invited 22 Entrepreneur candidates to apply under Ontario Entrepreneur Stream of Ontario’s PNP. Find out more about the OINP April 5 Draw. The Nova Scotia Nominee Program (NSNP) invited 27 candidates to apply to the Entrepreneur stream of the Nova Scotia Nominee Program. Find out more about the NSNP April 4 Draw. Saskatchewan updated its eligible occupations list for the SINP Express Entry and Occupations In-Demand sub-categories. 13 professions were added to the list. 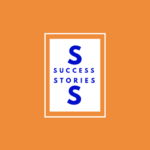 Find out more about the SINP April 4 Update. The British Columbia Nominee Program (BCNP) invited 26 candidates to apply to the BCNP through a Tech pilot draw. This draw gave invitations across four different categories under the BCNP with varied minimum scores. Find out more about the BCPNP April 2 Draw. The Manitoba Provincial Nominee Program (MPNP) invited 595 candidates to apply to the MPNP under the Skilled Workers Overseas stream. Find out more about the MPNP March 28 Draw . The British Columbia Nominee Program (BCNP) invited 242 candidates to apply to the BCNP. This draw gave invitations across five different categories under the BCNP with varied minimum scores. Find out more about the BCPNP March 26 Draw. PEI invited 131 Express Entry and Labour Impact candidates to apply for provincial nomination under the PEI PNP, there were an additional 19 candidates invited as well. Find out more about the PEI PNP March 21 Draw. The OINP invited 361 Express Entry candidates to apply under the Express Entry-aligned Skilled Trades stream of Ontario’s PNP. Find out more about the OINP March 21 Draw. Awaiting results of March 20, 2019 Draw for those who qualified under the Express Entry Labour Market Priorities of the Nova Scotia Nominee Program. Find out more about the NSNP March 20 Draw. The British Columbia Nominee Program (BCNP) invited 37 candidates to apply to the BCNP through a Tech pilot draw. This draw gave invitations across four different categories under the BCNP with varied minimum scores. Find out more about the BCPNP March 19 Draw. The Manitoba Provincial Nominee Program (MPNP) invited 337 candidates to apply to the MPNP under the Skilled Workers Overseas stream. Find out more about the MPNP March 14 Draw . The British Columbia Nominee Program (BCNP) invited 35 candidates to apply to the BCNP through a Tech pilot draw. This draw gave invitations across four different categories under the BCNP with varied minimum scores. Find out more about the BCPNP March 12 Draw. The Saskatchewan Provincial Nominee Program offered a total of 39 ITAs to individuals under the Entrepreneur stream, to apply for provincial nomination under the SINP. Find out more about the SINP March 7 Draw. The Saskatchewan Provincial Nominee Program offered a total of 137 ITAs to individuals, including Express Entry candidates, to apply for provincial nomination under the SPNP. Find out more about the SINP March 6 Draw. The British Columbia Provincial Nominee Program offered 346 ITAs to individuals to apply for provincial nomination under the BCPNP. The 346 invitations were issued across four categories in the BCPNP. Find out more about the BCPNP March 5 Draw. 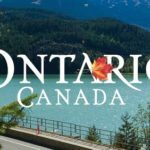 Ontario reopened the Masters Graduate stream of the Ontario Immigrant Nominee Program (OINP) for 1,000 new registrations. Within three hours the stream closed again due to ‘technical issues’. Find out more about the OINP March 5 Draw. The Manitoba Provincial Nominee Program (MPNP) invited 403 candidates to apply to the MPNP under the Skilled Workers in Manitoba stream, Skilled Workers Overseas stream, and the International Education stream. Find out more about the MPNP March 1 Draw . The Saskatchewan Provincial Nominee Program offered a total of 83 ITAs to individuals, including Express Entry candidates, to apply for provincial nomination under the SPNP. Find out more about the SPNP February 27 Draw. 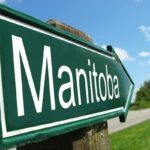 The Manitoba Provincial Nominee Program (MPNP) invited 338 candidates to apply to the MPNP under the Skilled Workers Overseas stream. Find out more about the MPNP February 22 Draw . The Prince Edward Island Provincial Nominee Program (PEI PNP) invited 170 Entrepreneur candidates to apply to the PEI PNP. Find out more about the PEI PNP February 21 Draw. The Nova Scotia Nominee Program (NSNP) invited 22 candidates to apply to the Entrepreneur stream of the Nova Scotia Nominee Program. Find out more about the NSNP February 19 Draw. The Manitoba Provincial Nominee Program (MPNP) invited 444 candidates to apply to the MPNP under the Skilled Workers in Manitoba stream, Skilled Workers Overseas stream, and the International Education stream. Find out more about the MPNP February 15 Draw . The British Columbia Provincial Nominee Program offered 309 ITAs to individuals to apply for provincial nomination under the BCPNP. The 309 invitations were issued across five categories in the BCPNP. Find out more about the BCPNP February 12 Draw. The Ontario Immigration Nominee Program invited 61 Express Entry candidates invited under the French Speaking Skilled Worker Stream. Find out more about the OINP February 7 Draw. The British Columbia Provincial Nominee Program offered 32 ITAs to individuals to apply for provincial nomination under the BCPNP. The 32 invitations were issued across four categories in the BCPNP. Find out more about the BCPNP February 5 Draw. The Ontario Immigration Nominee Program invited 29 Express Entry candidates invited under the French Speaking Skilled Worker Stream. Find out more about the OINP February 1 Draw. The Manitoba Provincial Nominee Program (MPNP) invited 456 candidates to apply to the MPNP under the Skilled Workers in Manitoba stream, Skilled Workers Overseas stream, and the International Education stream. Find out more about the MPNP January 31 Draw. The British Columbia Provincial Nominee Program offered 356 ITAs to individuals, including Express Entry candidates, to apply for provincial nomination under the BCPNP. The 356 invitations were issued across five categories in the BCPNP. Find out more about the BCPNP January 30 Draw. The Ontario Immigration Nominee Program invited 371 Express Entry candidates to apply. There were an additional 28 Express Entry candidates invited under the French Speaking Skilled Worker Stream. Find out more about the OINP January 24 Draw. The Nova Scotia Nominee Program (NSNP) invited 300 candidates who had a NOC 1111 occupation (financial auditors or accountants) to apply to the NSNP. Find out more about the NSNP January 24 Draw. The British Columbia Nominee Program (BCNP) invited 45 candidates to apply to the BCNP through a Tech pilot draw. This draw gave invitations across five different categories under the BCNP with varied minimum scores. Find out more about the BCPNP January 23 Draw. The Ontario Immigrant Nominee Program (OINP) invited 33 Express Entry candidates to apply to the OINP under the French-Speaking Skilled Worker Stream. Ontario also invited 15 candidates under the Entrepreneur stream. Find out more about the OINP January 17 Draw. The Manitoba Provincial Nominee Program (MPNP) invited 626 candidates to apply to the MPNP under the Skilled Workers in Manitoba stream, Skilled Workers Overseas stream, and the International Education stream. Find out more about the MPNP January 17 Draw. The Prince Edward Island Provincial Nominee Program (PEI PNP) invited 61 Express Entry and Labour Impact candidates to apply to the PEI PNP. They also invited an additional 30 business candidates to apply as well. Find out more about the PEI PNP January 17 Draw. The Saskatchewan Provincial Nominee Program offered a total of 596 ITAs to individuals, including Express Entry candidates, to apply for provincial nomination under the SPNP. There were 362 candidates for Express Entry and 234 candidates for the Occupations In-Demand stream. Find out more about the SPNP January 16 Draw. 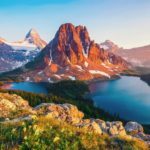 The British Columbia Provincial Nominee Program offered 316 ITAs to individuals, including Express Entry candidates, to apply for provincial nomination under the BCPNP. The 316 invitations were issued across five categories in the BCPNP. Find out more about the BCPNP January 16 Draw. The Ontario Immigration Nominee Program offered 1,493 candidates ITAs to apply under the Human Capital Priorities stream of the OINP. The 1,493 candidates must have a job offer in Ontario. Find out more about the OINP January 14 Draw. The Ontario Immigration Nominee Program invited 38 Express Entry candidates to apply to the OINP under the French-Speaking Skilled Worker stream. Candidates in this stream must have a French language proficiency equivalent to a Canadian Language Benchmark (CLB) level 7 or higher. Find out more about the OINP January 11 Draw. The British Columbia Provincial Nominee Program offered 35 ITAs to individuals, including Express Entry candidates, to apply for provincial nomination under the BCPNP Tech Pilot Draw. The 35 invitations were issued across four categories in the BCPNP. Find out more about the BCPNP January 9 Draw. The Saskatchewan Provincial Nominee Program offered 90 Invitations to Apply to individuals from the Entrepreneur Expression of Interest (EOI) pool. The average EOI score was 120, the highest EOI score was 150, and the lowest EOI score was 115. Find out more about the SPNP January 3 Draw. The British Columbia Provincial Nominee Program offered 151 ITAs to individuals, including Express Entry candidates, to apply for provincial nomination under the BCPNP. This draw was the first draw for British Columbia Provincial Nominee Program in 2019. The 151 invitations were issued across five categories in the BCPNP. Find out more about the BCPNP January 2 Draw. The Saskatchewan Provincial Nominee Program had a draw on January 2 which was the first draw of 2019. This draw maxed out the applications accepted for several categories including International Skilled Workers, Saskatchewan Experiences, and Entrepreneur/Farm Streams. Find out more about the SPNP January 2 Draw.